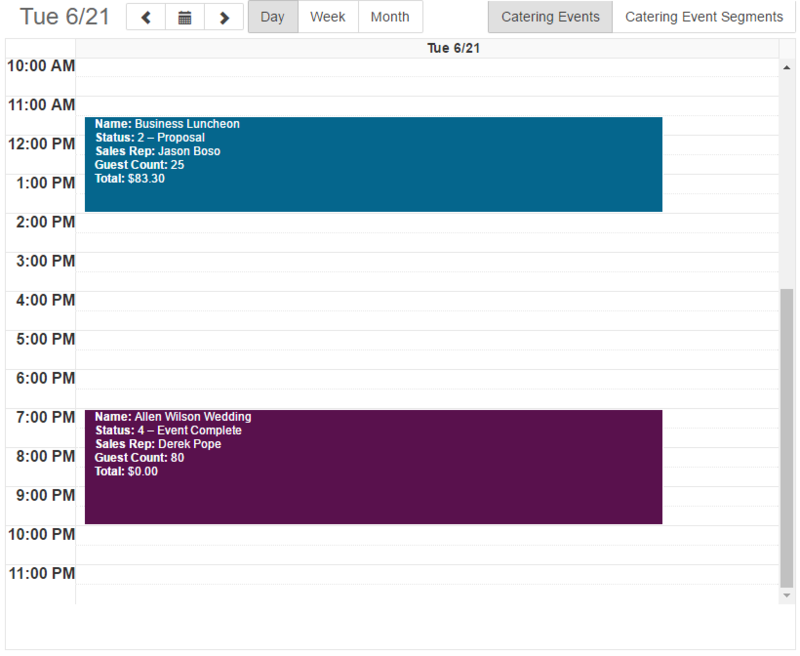 The Catering Calendar displays all previously created Catering Events in a Month, Week, or Day calendar format. Events are displayed based on selectable filters, and are classified by color (with each color representing the Catering Event Status). 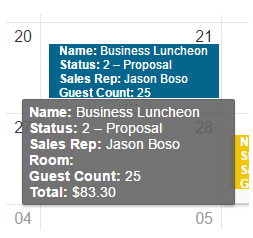 From the Catering Calendar a user can also create a new Catering Event by double clicking on the desired event date. 2) Catering Rep - This filter allows the user to filter only on selected Catering Reps.
6) Date Range for Selected View / View Selector - The default view for the Catering Calendar is Month, as users adjust the View Selector, or change from month to month, the Date Range for the selected view is displayed here.